Aa Naluguru is a quirky little film about the rather unbelievably good Raghu Ramaiah and his rather unbelievably bad family. According to my subtitles, the four people of the title are those four people in your life that you must look after so that they will be inclined to carry your coffin after you die – quite a sensible idea really. However as the film unfolds it seems that it may also refer to the four members of Raghu Ramaiah’s family who make his life so difficult, or maybe even to his four friends and co-workers who also have a large influence on him. The film is a little slow to start and perhaps overly moralistic, but succeeds for me mainly due to fantastic performances by Rajendra Prasad and Kota Srinivasa Rao. Raghu Ramaiah is an editor who is a great philanthropist, giving half of his earnings to his wife and children and the other half to the poor. He is very idealistic and believes that nothing is as important as love and compassion which means that he is constantly fighting against the corruption, greed and intolerance he sees every day in his community. His best friend Subrahmanyam (Subhalekha Sudhakar) has no such problems. He pays bribes and seems content to ignore the injustices he sees around him. Raghu Ramaiah’s other friend is the miserly money-lender Kotaiah who is happy to tell everyone that his only interest is money, and is a man so mean that he rations absolutely everything at home. We meet Raghu Ramaiah at the end of his life, when two demons pop up in his bedroom to take his soul to hell. This was just a little unexpected – firstly because I hadn’t expected a mythological aspect to the story but secondly why take his soul to hell when he had led such an exemplary life – or then again had he? Raghu Ramaiah turns out to be a little vain at any rate as he wants to be able to watch the mourners at his funeral. He successfully pleads with the demons to be able to stay longer on Earth, but this turns out to be a mistake since no-one seems to mourn him at all. As the demons ridicule him for this lack of affection from his family and friends he shows them scenes from the last few months of his life which explain the reaction to his death. His children are all only concerned with money as they think this is what they need to achieve their selfish wants and desires. The eldest son Shekar (Raja) wants to become an SI in the police, but although he has passed all the necessary exams he finds that he can only get the job by paying a bribe. Chinna, the younger son, wants to bribe a University to accept him into an Engineering course since he hasn’t got good enough grades to be accepted on his own merits. Indra and her husband want to leave and start a new life overseas as he has no job, and doesn’t seem to be particularly worried about getting one. They all keep pressing their father for money while he insists that they should be able to get by on their own merits, and in particular not pay bribes just because everyone else does. However Raghu Ramaiah’s ideals are not accepted by his family and finally his son-in-law decides to capitalise on his father in law’s good name and start a finance company to cheat people. This is the last straw, and Raghu Ramaiah finally breaks down at this threat to his reputation. He borrows money from his friends and uses this to pay his children what they feel they are owed. After he dies, his sons and his son-in-law run away to avoid having to pay back the money their father has borrowed. Note the prominent placement of Mother Theresa’s picture seen here over Raghu Ramaiah’s shoulder. There is a great moment when medics come to collect Raghu Ramaiah’s eyes which he has donated, although this also brings to light the true circumstances of his death. But a story that involves eye donation is always a plus for me. The rest of the film deals with the funeral and I have to say that no matter how many times I watch this film, the final scenes always make me cry. The simple outpouring of emotion at the funeral is very well done, and the grief in the loss of a man seen as a great humanitarian is very heartfelt. There are a few problems with the story, written by Madan and the director Chandra Sidhartha. Raghu Ramaiah seems to be a very idealistic representation of a compassionate man and the story initially is very simplistic and moves slowly. It’s understandable that his family is frustrated with his overly charitable nature, although their demands for money and general lack of respect also seem unrealistic. Perhaps the director found this necessary to get his point across, but I think the same points could have been made more subtly. I don’t believe that anyone could be so overly benevolent to the detriment of their own family or adhere so rigidly to such morals. 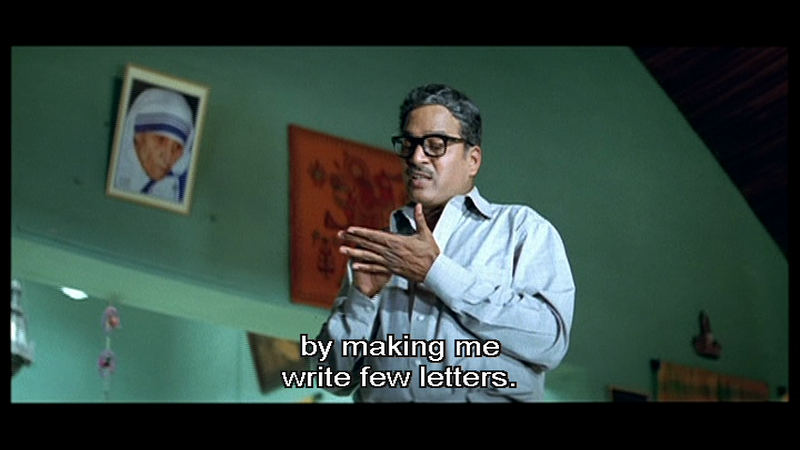 However while these flaws could have made Raghu Ramaiah very one-dimensional, Rajendra Prasad rounds out his character with a really fantastic performance. The interactions with his family are very well portrayed with a mixture of frustration, love and anger giving a more naturally human feel to the character despite the rather stilted language. Of course that could be the fault of the subtitles. 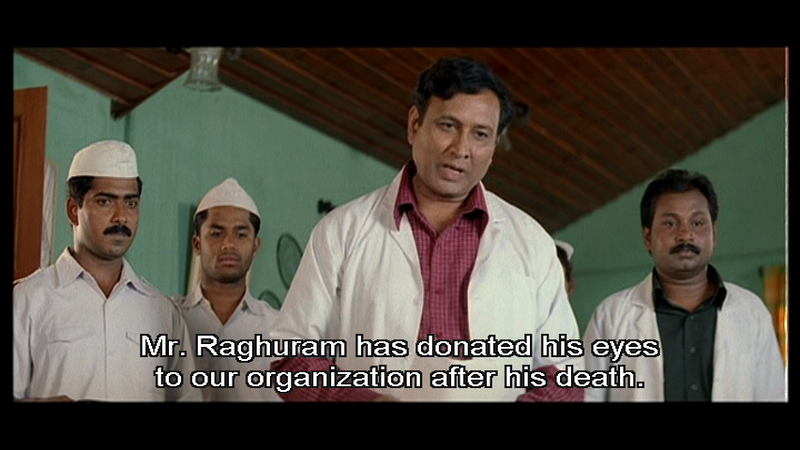 Still, without the presence of Rajendra Prasad I don’t feel that this film would have had the same impact at all. Kota Srinivasa Rao is excellent as the miserly Kotaiah and the interaction between these two characters is the best part of the film. Aamani was good in her portrayal of the wife stuck in the middle, trying to keep everyone happy and failing, and it was interesting to see Raja in a more negative role. 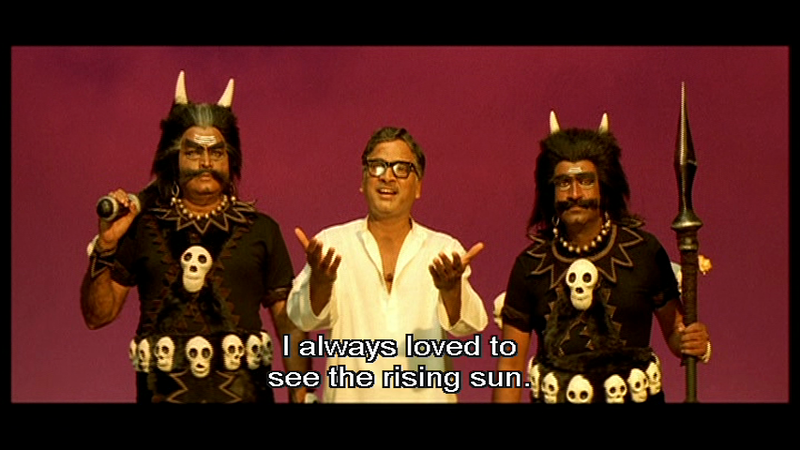 While there aren’t very many songs in this film, the slow and sad version of the title song is used frequently as a background theme. But this fast version at Indra’s wedding does have some dancing at least. Despite the problems I have with the story and the somewhat idealistic characterisations, the performances more than make up for these shortcomings for me. This is a film I’ve watched a number of times and still love the ending. A film made by the performances and emotional final scenes and as such gets 3 1/2 stars from me. I hate this film. I can’t decide if it is an amateurish attempt or a deliberately manipulative effort that insults the intelligence of the audience. I do need to discuss the plot as it is the supposed ‘twist’ that particularly annoys me, along with some poor writing. I will leave a gap. 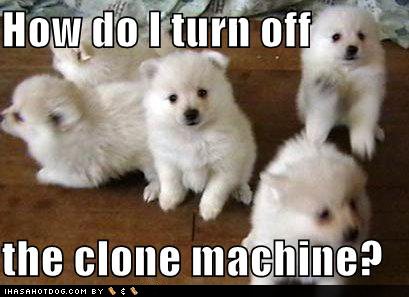 Now if you want to avoid the spoiler, keep scrolling until you see the next puppy. Raghu Ramaiah committed suicide. He did this with no real sense of crisis apart from his customary self pity, and just after borrowing loads of money from various friends and associates. His death effectively dropped his family and friends in a hole as the loans were a bit shady and his wife had no means of repaying them. The grown up children were presented as selfish caricatures, constantly shocked by their father’s decisions (they were also slow learners – I mean, he NEVER didn’t put charity first). Surely he wouldn’t have expected them to look after his widow properly. He abandoned his philosophy and his vows to his wife in what was portrayed as a fit of pique. Now, this is a shocking action for a holier-than-thou too-good-to-be-true philanthropist so I was expecting some unfolding of his character or past that would illuminate his choice. None was forthcoming. He sat on his cloud, hoping to see how much he was missed and trying to hide the truth from his demon companions. This vanity and selfishness might also have made for interesting character development but was brushed aside. Chandra Sidhartha decided to make this man a role model and have everyone awash with tears at his funeral. So is the take out from this, kill yourself if people disagree with you and then they’ll all be sorry? None of it held together for me as there was insufficient motivation for him to drink poison and no satisfactory exploration of the repercussions, followed by a glorification of a very flawed and slightly unpleasant character. The sickly sentimental ‘boo-hoo we’re not worthy of such a great man’ ending was infuriating. OK so now I have that rant out of my system. 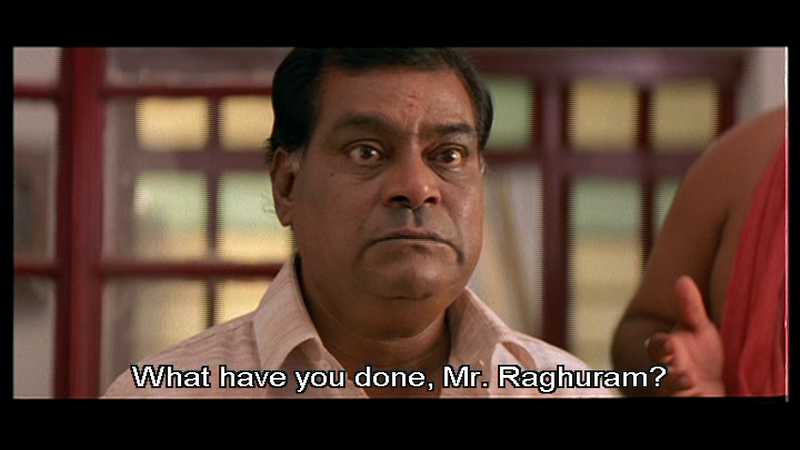 Rajendra Prasad did give a good performance. I was really hoping that a movie featuring the actors who are usually in supporting roles would be good as it is lovely to see them take the spotlight for a change. The scenes between Rajendra Prasad and Kota Srinivasa Rao are effective, and Rohit and Aamani were good in their supporting roles. I give this 1 star, only because some of the actors tried really hard. This entry was posted in Tollywood and tagged Aa Naluguru, Aamani, Chandra Sidhartha, Kota Srinivasa Rao, Madan, Raja, Rajendra Prasad, Subhalekha Sudhakar. Bookmark the permalink. Wow, Temple. I don’t know what to say. So maybe I should address Heather first. That is, if the first part of the review is by her. I have noticed, in many reviews by westerners (and yes, I know you’re Australian, but you know what I mean by that term) a real problem accepting idealistic characters. This has occurred in so many films and in so many reviews by different reviewers, that I wonder if this is one of those unbridgeable cultural divides. Basically, it seems as if in these post-modern, post-religious, post “Is God dead?”, post Watergate, post church coverups of child molesters societies, there is a firm belief that everyone must be corrupt or venal or flawed, or something. I don’t think it’s just cynicism. I think it’s a genuine belief that there are no good people, and certainly not 100% good people. Or maybe it’s just in the professional “artistic” subculture that these beliefs exist, because I certainly know several people in these same “western” societies, or “western” origin, too, who are dedicated, selfless, and genuinely committed to putting the welfare of others above their own. Am I living in a space warp, then? The usual explanation given, especially for dramatic forms such as film, TV, or theater, is that flawed characters are more interesting, more human, more three-dimensional, more “real.” But is that indeed so? It is not necessary, for instance, for a priest sworn to chastity and celibacy to have a secret affair with a woman (“Thorn Birds”). It is not unusual to have such a character, but it is just as usual to have such a priest who does not swerve from his vows, and doesn’t molest little boys to sublimate his desires, either. Now it is true that such people *are* human — that is, they get tired, cranky, lose their tempers, get hungry, need to go to the bathroom, etc. But they are committed to their ideals pretty much 24/7. Where I agree with the review is that they do not go around spouting quotation book aphorisms all the time, which was a small weakness of this film. But it was pretty soon got over, I thought, because (a) Raghu Ramaiah has to constantly defend his idealistic position, which shows us the thinking behind his acts, and which to my mind does make him three-dimensional; and (b) he does exhibit the kind of “human” foibles that I have listed above. He is not a “saint” in that sense, and actually most hallowed saints were not very “saintly” in their lives, either. 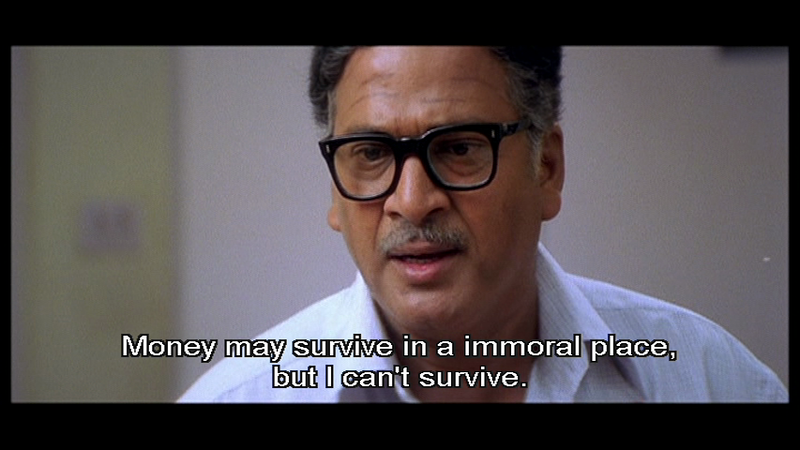 And as for realism, yes, there are people in India, even today, who do give away their money to help others, at the expense of their own families, and there are a lot more children like the ones shown in the film, who are completely selfish and think of their parents as nothing but money machines. Sadly, I know some of those kinds of people, too. it is part of what I have felt is the great degradation of the Indian society in the last 20 years or so. Temple, coming to your major spoilery objection, it’s been a while since I last saw the film, but if my memory serves, I believe that act was done out of frustration and a broken heart, or, alternately (since my memory is fuzzy), as a way of uniting the family, and a sacrifice of self for the good of others. I believe some guy called Jesus tried this stunt a couple of millennia ago? Even if you don’t want to invoke him, remember that India is the land of the “purification fast”. While every tinpot publicity hound goes on a “hunger strike” for this or that two-bit cause, there are also genuine leaders who are willing (and do) lay their lives on the line by fasting unto death to bring the populace or other government officials to their sense. It is not always blackmail, either, which is the fashionable way it is described in the western media. The bottom line is, there is, cliched as it sounds, much more of a spiritual component to everyday life in India compared to the western countries, diluted as it has become. Incidentally, what is the aversion to referring to religious themes and allusions as such? Why are they all labeled mythological? hi mm. I don’t argue with the concept of someone being so frustrated or devastated that they make a drastic choice, and I do believe many good people sacrifice for the well being of others. But this film didn’t convey to me any of the nuances you have noted – maybe you should go into screenplay writing! I think it is at best a clumsy piece of writing that fails to make the story come to life. In a serious character driven film this is a huge flaw and one that, for me, totally undermined all the potential of the story. As I noted, I think the basis was there but for whatever reason the direction went a different way, and I didn’t buy it. Once the empathy with the main character was gone, that was it for the film. We all see things differently, of course. I think the reference to mythological themes was in Heather’s review so I will leave that query to her. I don’t disagree at all that they are many people who do very good work and are very charitable. In fact I work with such a person every year in India who has selflessly dedicated himself to helping the poor in his local area. My main issue with this character is that he was prepared to sacrifice his family to further his charitable works, and I really don’t know anyone who would take their beliefs quite that far. I didn’t need Raghu Ramaiah to have a flaw but just to be more thoughtful of his family – in fact I thought that his inflexibility was actually a flaw in his character. I had more of a problem believing that children would be so disrespectful and contemptuous of their father. Perhaps that’s a generation gap issue as it’s a long time since I was a teenager! 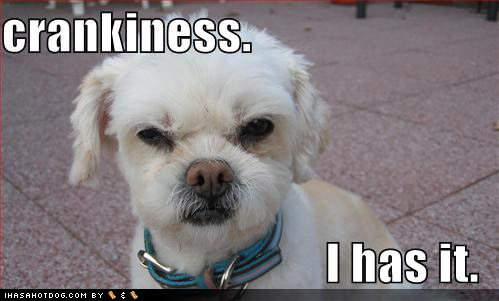 But the teenagers I do work with don’t seem to have this attitude either. 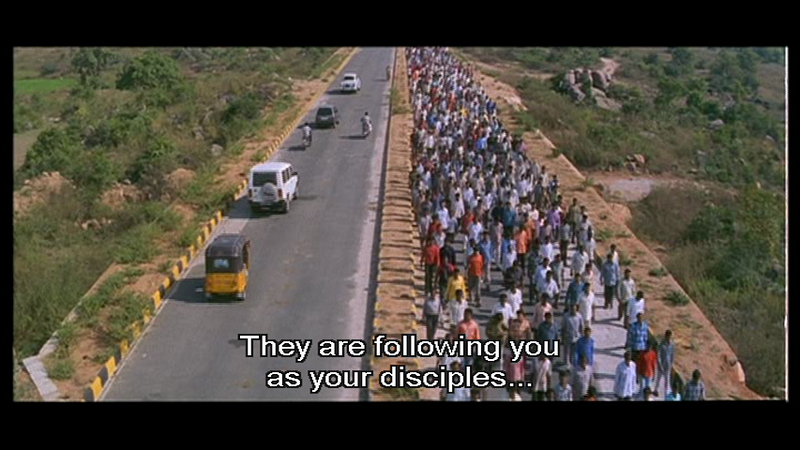 I also didn’t really think of this film as particularly religious but more of a social commentary I must admit. Yes, there are people who, in their zeal to “do good” sacrifice their families along with themselves. Isn’t this a major criticism of Mahatma Gandhi? As I said, while I felt that the Raghu Ramaiah character was a little overdone in his idealism, I thought the children’s characters were very realistic – for an Indian film set in contemporary India. There is, in fact, something of a crisis with senior citizens in India, who have been badgered by their children into giving all their savings/pension to the kids to help them buy homes, and then are kicked out by the same children, since they’re deemed to be no longer of any value. There was never any such thing as an Old Age Home in India till about 20 years ago. Now they have proliferated all over, just to handle such cases, as well as those elders who have realized that it is foolish to depend on their children to look after them in old age, and so they purchase a place in such homes themselves. I can’t tell you the number of times I have heard young people declaim passionately that families should be the way they are “in the west”, where parents have nothing to say in the way their children live. They never like it when I point out that, in those countries, the children earn their own money to pay for their college, their home, their wedding, etc. They expect their parents to give them a free ride for everything (including giving the bribes necessary to get them a fancy job), and then disappear off the face of the earth while the kids enjoy the fruits. So I don’t think comparing them to Australian teenagers is at all appropriate, since the societies are so different in this regard. In other words, it’s not just teenage angst. It’s a whole different sense of entitlement and selfishness, which, unfortunately, has become commonplace in India. Regarding the mythological/religious divide: True, this film is a social commentary, and not explicitly a religious themed one; but the emissaries of Lord Yama (which is what those “demons” are — they are actually called “Yama’s soldiers” in Telugu) wouldn’t exist without Yama, so to that extent they are part and parcel of a religious approach, rather than a mythological one. As an analogy, think of all those jokes that start, “X was standing in front of St. Peter and …” Now the joke obviously isn’t “religious” or about religion in any way, but it would be wrong to call it “mythological”, wouldn’t it, since the premise of St. Peter, purgatory, heaven, and hell, are all consequences of a particular theology. It is a convenient shorthand to employ, arising out of a shared culture, even though not everyone who reads/hears that joke, like me, may belong to that particular religion. But that doesn’t prevent me from finding it funny. I’m very surprised to hear about the situation in India and think that is very sad. Certainly everyone I know has made their own way and not relied on their parents. The exception in the West to your point about children paying their own way is weddings, where parents do traditionally help their children out financially. However, even then most people will pay a large proportion of the cost themselves. I didn’t grow up in Australia, but it seems to be much the same here as Ireland – as regards to my generation at least. One of my favorite movies.. it always makes me cry.. 😀 the ending is Fabulous.. human relations in the current generation caught between money and love is very well portrayed..!! I’m with you on this movie – I do really like it and the ending always make me cry too! 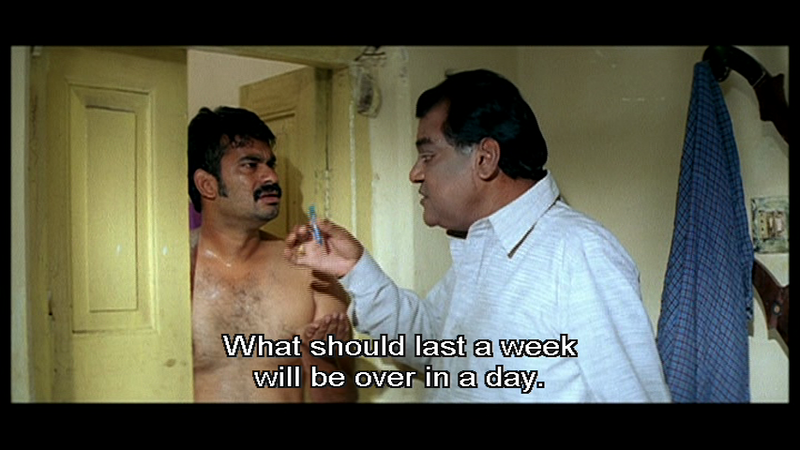 RajendraPrasad has excelled in this character.!! I’ve always seen RP in comedy movies but out of the blue he does different movies which really makes me wonder…”this guy has got something else in him other than the funny side.. ” … Mutyamantha Muddu, Kashmora are examples of his finest acting..!! BTW, this film won a lot of awards — I think the state level Nandi awards — for best film, best actor, possibly best director. I totally agree with Temple here. I hated the ending because it goes completely against the established character. Also, for such an philanthropist, he fails to consider the effect of his actions on people outside his family (his lenders), and breaks his trust. My problem with the movie is not that most of it wasn’t realistic, (I do know people like that), but it is more along the lines of giving an implicit approval to such behaviours. That makes the writer more regressive. Yes, there is a long history of fasting, self-sacrifice, satyagraha in India, but given how they are misused and abused so frequently, I wanted the story to be more progressive.